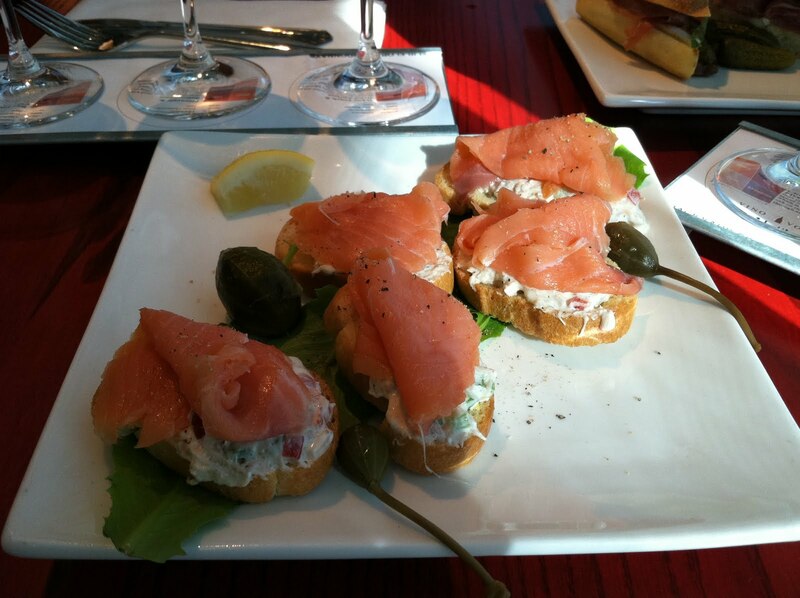 Smoked salmon served with succulent crabmeat and crispy crostini, caper berries on the side. I must admit that I expected something else when I ordered these salmon “rolls”. Not sure where the rolls are, but they were tasty nonetheless. For airport food, I was surprised that the salmon and crab meat tasted fresh and delicious. And the caper berries were a great addition. 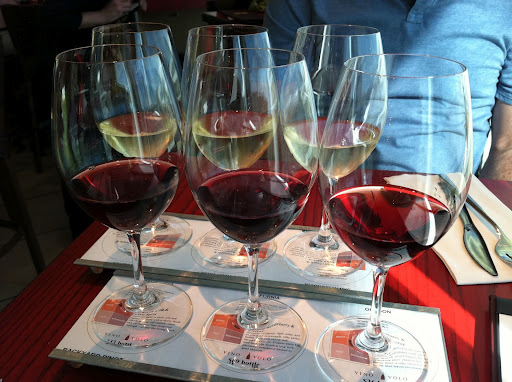 You can’t go to a wine bar without trying some wine, so I ordered the Backyard red wine flight and David had a white wine flight. This entry was posted in Restaurant, Vino Volo and tagged caper berry, crab, fish, salmon by vicentesf. Bookmark the permalink.